You don't have to travel far to discover the underwater treasures of St. Kitts. Snorkeling adventures can begin with a short swim right from a hotel beach, while a ten-minute boat ride will carry you to a secluded bay where sea turtles and colorful tropical fish flit among the corals. A closer look through the clear waters may reveal a shipwreck, a moray eel peering out from a crevice, or an octopus scurrying between rock piles. Calm waters and abundant fish life make for relaxing submersions and itineraries that are suitable for novices, but still enjoyable for experienced free divers. The entire western coast of St. Kitts is sheltered from prevailing wind and waves, but reefs on the northern half of the island run deeper and is best suited for divers. The most popular snorkeling sites are within a series of bays on the western side of the long, thin peninsula which stretches some nine miles to the southeast of the port town of Basseterre. 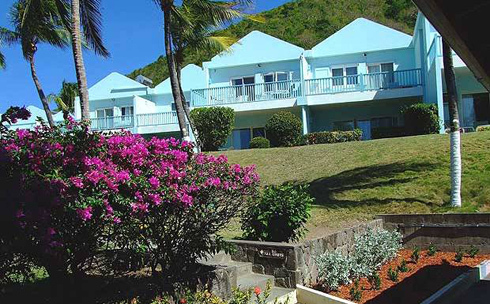 Several tour operators on St. Kitts offer combined kayak and snorkeling excursion. These trips are an ideal way to discover more remote sections of the coast, with monkey sightings and bird watching on the way to the reef. Paddling routes often pass by tall sea cliffs that flank secluded bays, where snorkeling takes place in calm water. The sheltered lagoon at South Frigate Bay Beach is a haven for marine life. At Pelican Rocks, snorkelers are joined by diving seabirds feeding on small fish. Shallow shipwrecks at White House Bay can seem from the surface. At Sandy Point National Marine Park a dramatic vertical reef line is home to hawksbill and green turtles, lobsters, creole wrasse, sea horses and more. A personal dive mask for maximum comfort and a good fit. A brimmed hat and sports sandals for kayak/snorkel trips. A water shirt for sun protection. A tote bag that can handle getting wet for boat trips, with a waterproof case inside for personal items such as keys and mobile devices.